Attention All: If you didn’t know, Niagara Falls, Ontario Canada, is still booming in the winter months. Yes, I know, it’s hard to believe that when the warm weather disappears people still venture outside but the truth is… they do! Grab a scarf, put on your coat and embrace the colder weather because Niagara Falls brings excitement all year around! 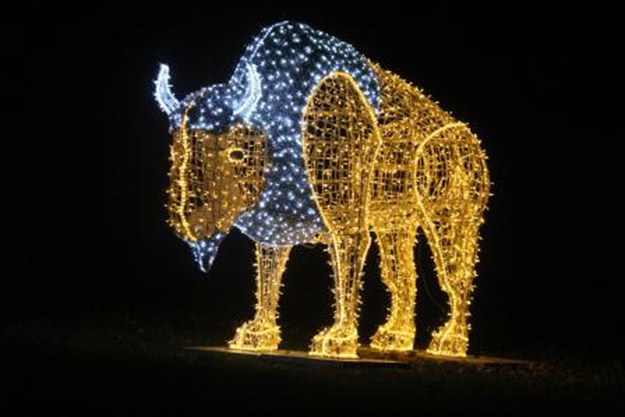 When is the Niagara Winter Festival of Lights? Whether you’re travellers from out of town, a local family or a couple looking for some fun in your day, Niagara Falls is the perfect escape! As always, The Ontario Power Generation Winter Festival of Lights will look to kick-start your winter fun with its Opening Ceremonies beginning November 3rd, 2019. The annual debut is located in Queen Victoria Park along the Niagara Parkway. Winter Festival of Lights, Opening Ceremonies Stage. Enjoy a beautiful panoramic view, while The Ontario Power Generation Winter Festival of Lights opening ceremony provides a captivating stage staring unique performances, accompanied by spectacular costumes and astonishing music. You don’t want to miss the highlight of the night, a Chromatique show that promises to light up the surroundings and completely immerse the audience into a world of light, colour and sounds. What else will you the open ceremonies bring? As Canada’s foremost illumination festival, the experience continues long after opening ceremonies. During the Winter Festival of Lights festival, Niagara Falls turns into a winter wonderland! With over three million sparkling lights and grand holiday displays covering a 5+km route, Niagara Falls becomes the ultimate holiday destination. In fact, The Ontario Power Generation Winter Festival of Lights is listed as one of the ‘Top 100 Internationally known events in North America’ by the American Bus Association. 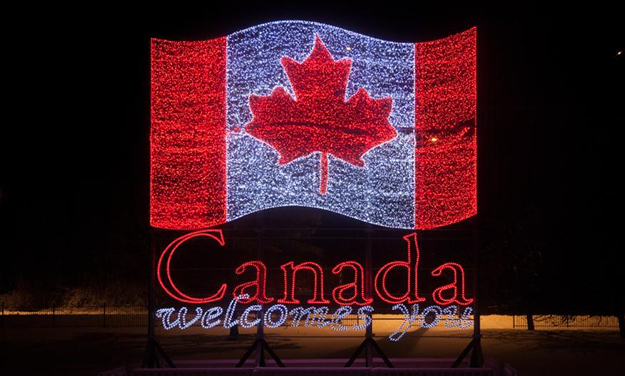 It has also been included in Canada’s 10 most Festive Christmas Cities by Reader’s Digest Canada, and the Conde Nast Traveler’s International list of Most Extravagant Christmas Light Displays. This is truly an experience you don’t want to miss out on! We invite you to enjoy and explore the many attractions Ontario Power Generation has to offer. They are excited to announce that Fallsview Casino will be executing its Winter Fireworks program weekly once again. We also encourage you to check out the many other attractions and packages Niagara Falls has available during the winter season. To learn more on how to make your stay in the falls a perfect getaway, check out our read on the most popular winter attractions. Bundle up with all the holiday festivities Niagara Falls has to offer. Check out our list of free things to do during the Winter in Niagara Falls. If you’re looking for a thrill this winter, Nightmares Fear Factory is waiting for you! Check out the scariest, haunted house attraction that is perfect for friends, family, kids and couples. Purchase your tickets online and you can save up to 20% off!